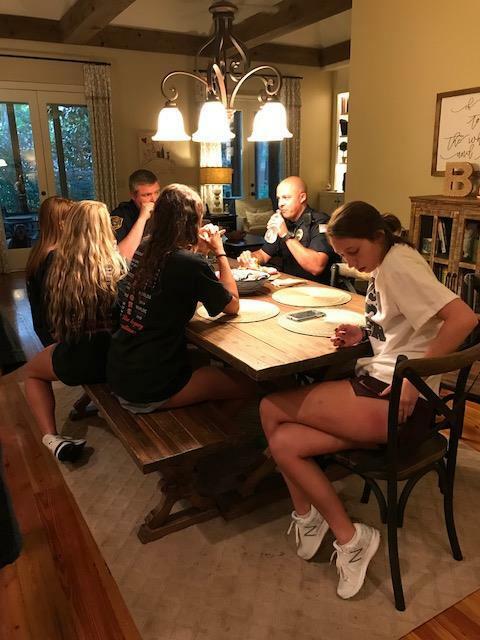 Germantown, Tennessee--August 8, 2018--Last Friday seniors and juniors of both Houston High cheer squads gave back to the community by hosting a cop stop to provide a free meal in a relaxed setting for the Germantown Police Department and their families. Cop stops originated in Germantown and have spread into a variety of communities (Memphis, Bartlett, Cordova, Collierville, Arlington, Lakeland, Oakland, etc.) as a way to thank police officers and their families for their service.